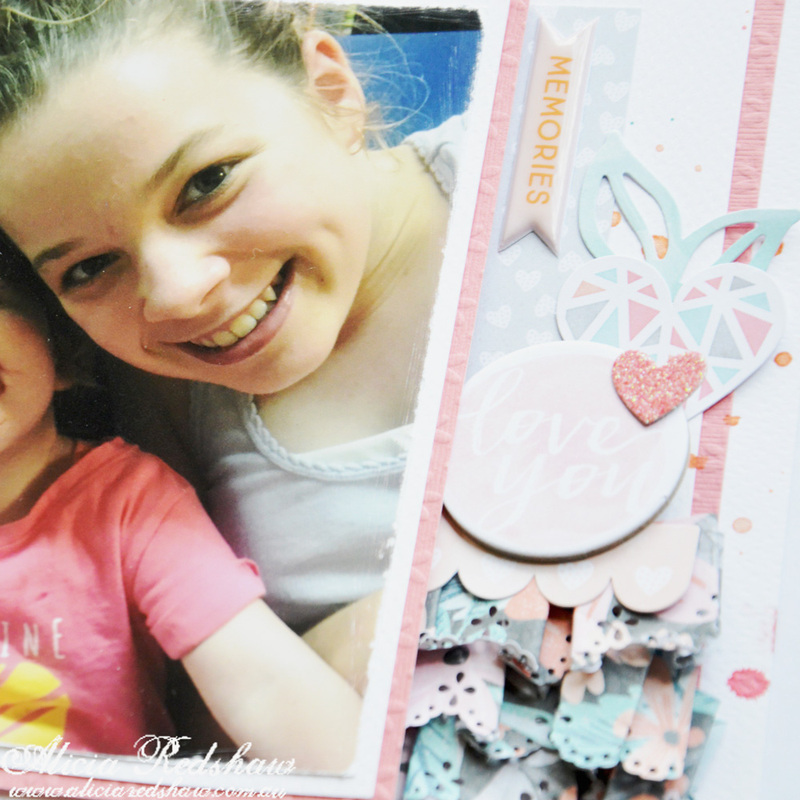 The challenge this month at the 123 Challenge Blog is perfect for Girly photographs, like the one I have used of my beautiful girls – Naomi-Jon and Amelia-Ann. Yes, we love hyphens for girls and James as the middle name for boys – just two little traditions of our very own. I have used the gorgeous Cocoa Vanilla Studio Love Always Collection – which has to be my favourite from this awesome brand so far this year…..that revelation could change this month when I get my hands on the new Endless Summer Collection, as it looks pretty awesome. 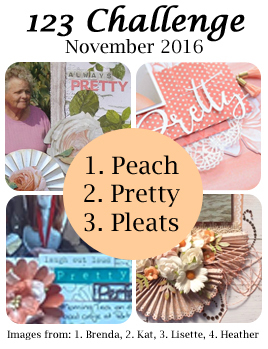 The Challenge is to use the colour Peach, the word Pretty and the technique of Pleats. Which was pretty easy to accomplish with all of the lovely ranges around at the moment that either feature Peach or work very well combined with Peach. When you visit the 123 Challenge Blog you may just realise a bit of a secret…..as I am actually the Owner of the 123 Challenge Blog, and have been for over two years now. It’s not that it is a secret, but it is something that I am careful with as I also own the main sponsor Scrapbook Fantasies (an arrangement in place long before I took over the site). So now you know that Challenge Blog Owner is another one of the dozen or so hats I wear. 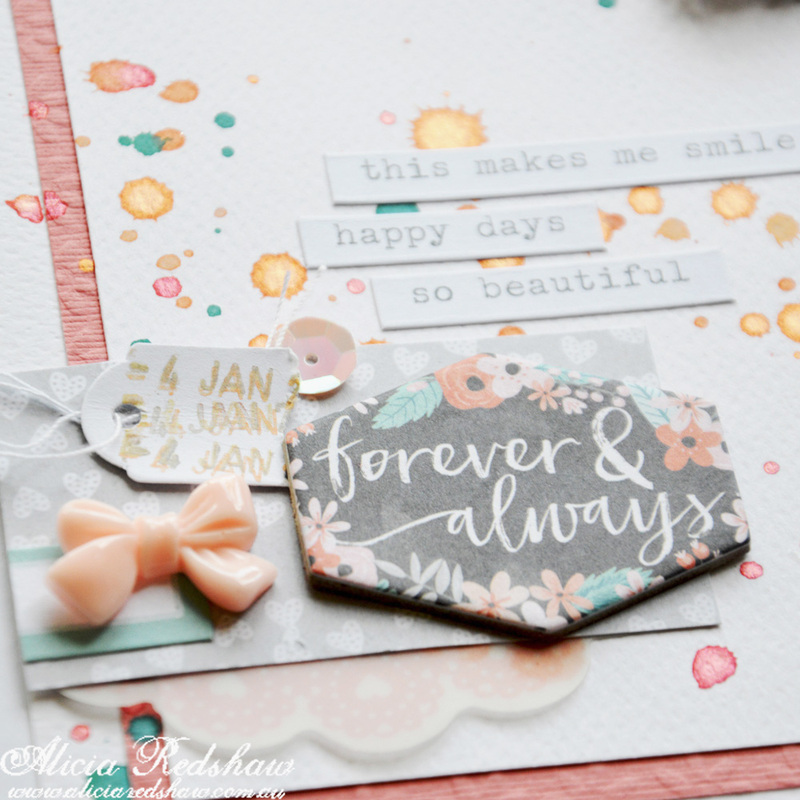 The Bits& Pieces packs were a new product line to Cocoa Vanilla Studio this year, starting with the Love Always Collection. 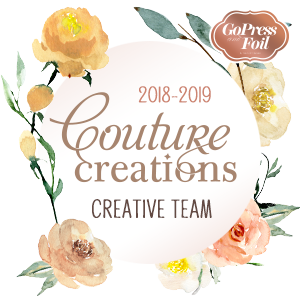 This little pack of awesomeness is a must when I create as it includes lots of little bits of co-ordinated goodness that work so well with my layered style. 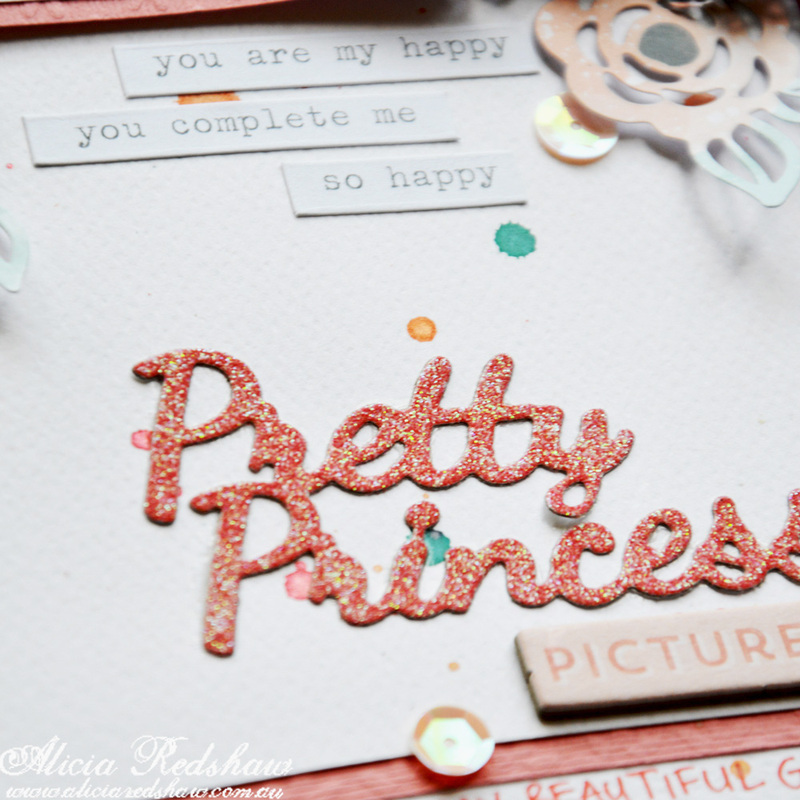 I also love the new adhesive Chipboard and Vellum Die-cuts too……just yum! 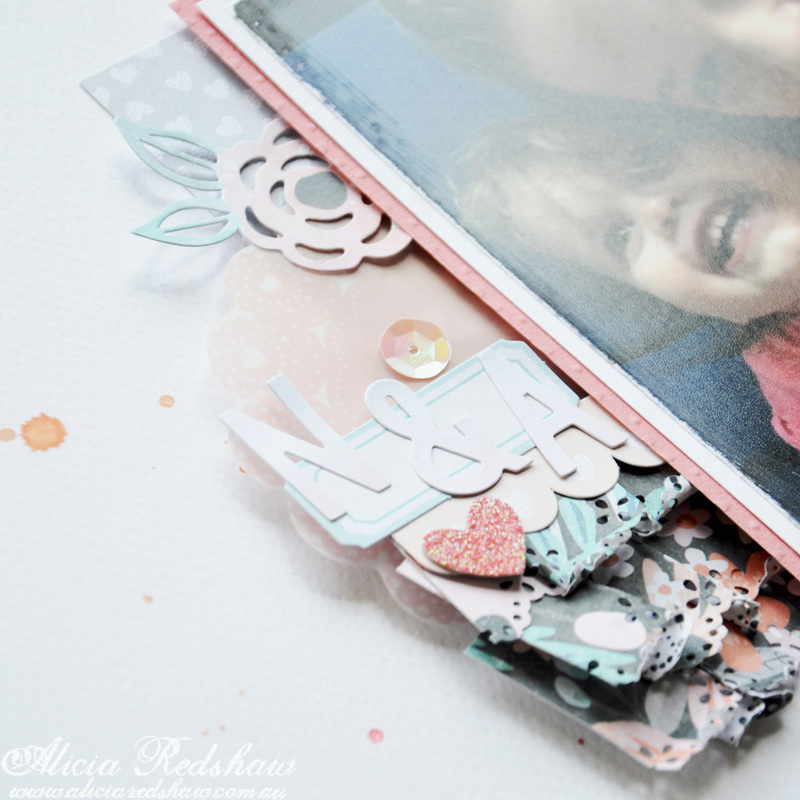 Now it’s your turn to have a go at the challenge, and don’t forget to check out the awesome layouts created by the 123 Challenge Design Team —— here!